Here is an example of one area . While driving in the Coronado National Monument, we noticed these beautiful, crawling flowers in the burn recovery area. 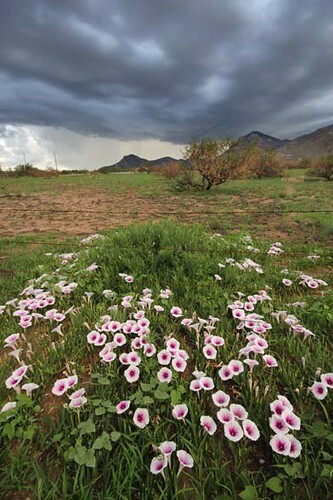 They are a type of morning glory native to southern Arizona and northern and central Mexico. 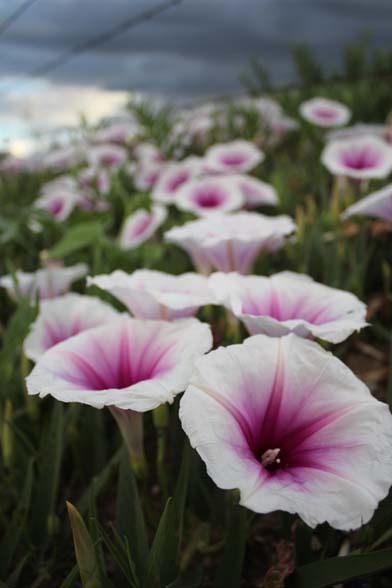 They are called a pink throated morning glory, or ipomea longifolia. The US Dept of Agriculture classifies my new favorite wildflower as a "prohibitive noxious weed". Haramuph. The flower opens up in the evenings. It was very thunderbumpy while we were there. What wonderful images of hope and renewal! Beautiful work, especially the first one.